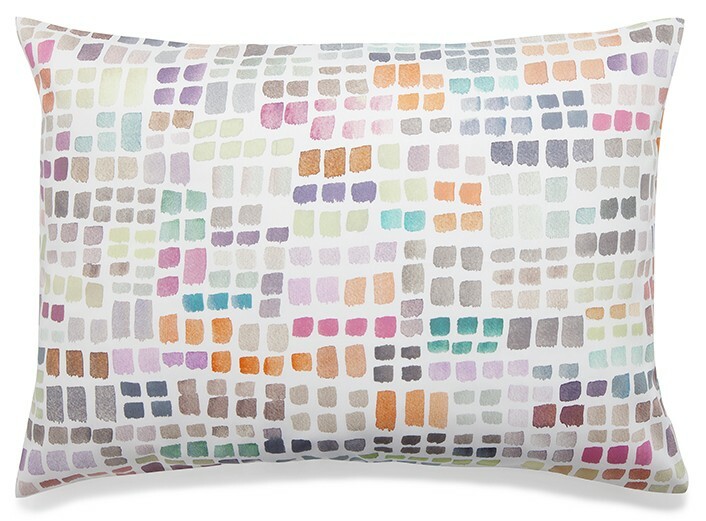 FORTE bedding by Zimmer + Rohde - colorful, contemporary bedding with a whimsical touch. Made in Italy for Zimmer + Rohde (Schlossberg) in luxurious sateen. Bed Linens from the FORTE collection may be combined with Zimmer + Rohde Sateen Finesse solid sateen sheets. Please contact Aiko luxury Linens for pricing for twin size duvet covers, FORTE pillowcases (sold in pairs), extra queen or extra king sizes. Please contact Aiko Luxury Linens for pricing of twin bedding or FORTE pillowcases. FORTE shams and duvet covers are knife edge with zipper closure. Forte Queen Duvet Cover 90"x94"
Forte King Duvet Cover 104"x93"